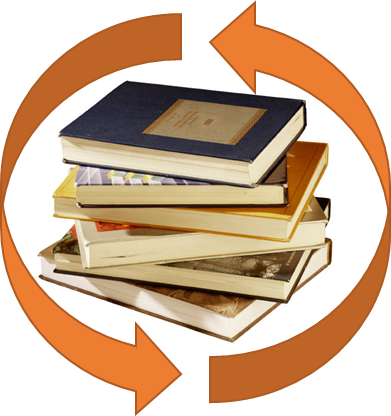 Interlibrary loan is a free service for MWCC students, staff, and faculty, that enables you to borrow from other libraries. Before requesting an interlibrary loan, please discuss your information needs with a librarian. We may be able to find other items which are currently available that satisfy your needs. The copyright law of the United States (Title 17, United States Code) governs the making of Photocopies or other reproductions of copyrighted material. Under certain conditions specified in the law, libraries and archives are authorized to furnish a photocopy or other reproduction. One of these specified conditions is that the photocopy reproduction is not to be "used for any purpose other than private study, scholarship, or research." If a user makes a request for, or later uses, a photocopy or reproduction for purposes in excess of "fair use," that user may be liable for copyright infringement. This institution reserves the right to refuse to accept a copying order if, in its judgement, fufillment of the order would involve violation of copyright law. Or talk with a librarian in person. A citation for the item is best (see below for more information). O'Brien, J. A. (Ed.). (2006). The production of reality: Essays and readings on social interaction (4th ed.). Thousand Oaks, CA: Pine Forge Press. Typically, it takes one to two weeks, but it may take longer. Interlibrary loan is almost always free, but sometimes a lending library imposes a fee. In that case, the person requesting the item will be asked in advance to be responsible for the fee. The loan period is established by the lending library, and may vary from 2-4 weeks. When a periodical article is requested, the lending library sends a copy (print or electronic) which the borrower may keep. May I renew an item? The library that owns the item makes decisions about renewals. We can request a renewal, but it will not automatically be granted. How will I know when my request is fulfilled? You will receive an email when your material arrives. Books and print articles will be available for pick up at the Circulation Desk. Articles in electronic format will be emailed to you. I still have a question...can someone help me? Please send an email to illmwcc@mwcc.mass.edu if you have any further questions.